With cup competitions reaching their latter stages and both ends of the Premier league being closely contested football fans are looking for nothing less than 100% from the players they idolise. 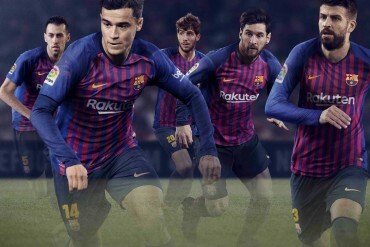 However, with some high profile and expensive footballers currently spending their time warming benches bookmaker Paddy Power has created a series of well-placed suggestions for clubs to make the most of their unused stars. 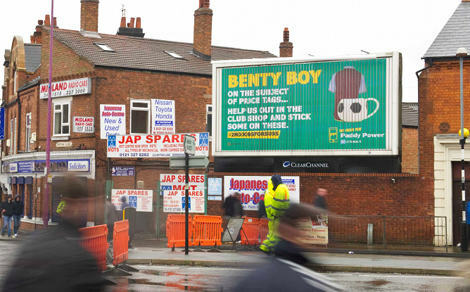 The suggestions, in the form of billboard ads, went up near Premiership football grounds this weekend and included a suggestion for Arsenal reject Andrei Arshavin to get to work on cleaning the toilets at the Emirates, misfiring Fernando Torres to man the Chelsea burger van, and moody Darren Bent to staff the Aston Villa club shop. The bookmaker also took suggestions from fans for these million pound layabouts using the hashtag Ĺ›#2ndjobsforsubsĹĄ on twitter. 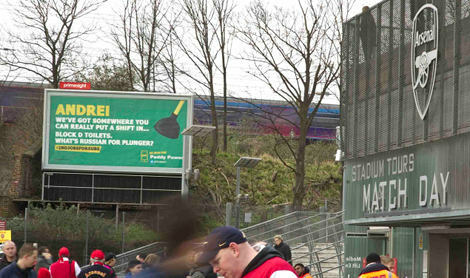 Whilst we’re not sure that any Premier League managers will help the bookmaker with their campaign (well, Neil Warnock in the Championship might…) we’d love to hear what your suggestions for 2nd Jobs for Subs would be for your favourite benchwarmers! Next articleNIKE ACC: GENIUS OR GIMMICK?